This was just too awesome not to share. Ah, the days of olde. I remember playing Number Munchers back in elementary school while waiting for school to start (don't call me a "nerd" for that - my mother was a teacher at my school, so I arrived extra early). 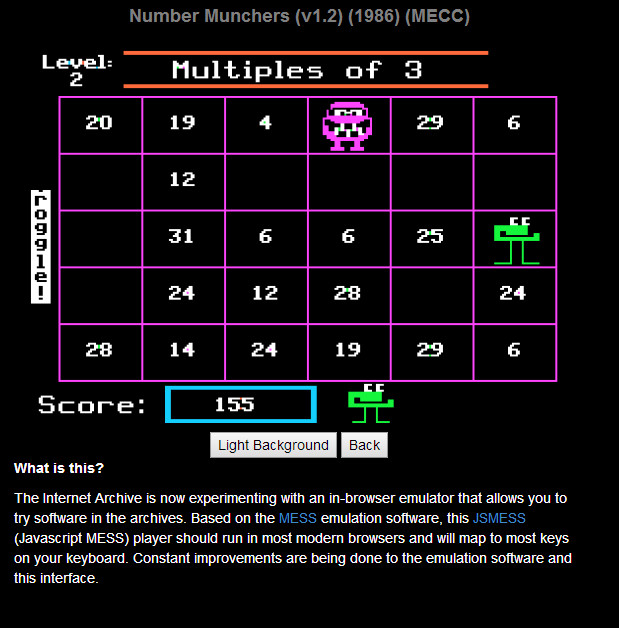 Now, the Internet Archive has an emulator that can play 11 classic games, including Number Munchers, which was always one of my favorites. Now, can they get Oregon Trail to be on an emulator?